NOTE: This site is for purchases within the US and Canada. For customers located in Europe (excluding Russia), Australia, and New Zealand, please visit Yale University Press London to complete your order. 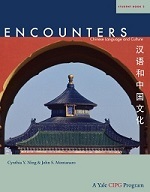 Includes 24 months of media access on the Encounters website. * Note: access to website must be purchased separately. See below to order individual media access. Includes 12 months of access to the online workbook. 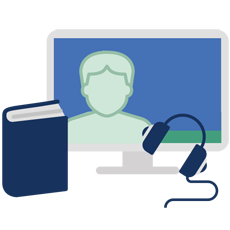 Create an account here and ask your teacher for the course code for your specific class. If you have additional bundling or ordering needs, please contact us to let us know how we can help. 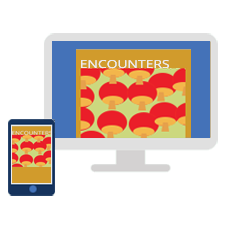 Purchase 24 months of access to the Encounters website. Are you considering Encounters for your classroom? Examination Access: Examination Access is a great way to see Encounters in action! We’ll give you 1 month of access to the first few chapters of text and media from Student Book 1, so you can try Encounters in your classroom while making the decision to adopt. 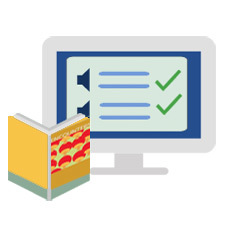 Examination Copy: If you’re considering Encounters for your classroom and would like to request an exam copy, click here for detailed information. 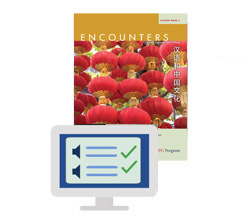 Desk Copy: If you’ve already adopted Encounters, we will provide you with a desk copy free of charge. Please complete the following form to request your desk copy. 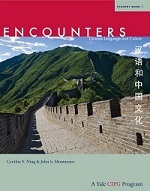 If you are an instructor and would like to purchase copies of any book in the Encounters program, contact your campus bookstore about placing orders with Yale University Press/Triliteral LLC. To order books directly, call 1-800-405-1619. 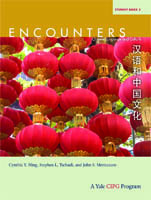 If you are interested in ordering exam or desk copies of any book in the Encounters program, send an email to encounters.chinese@yale.edu or fill out the following contact form.